DotA 6.77 AI Fun 2.7c Map | Play with 45+ Fun Heroes! 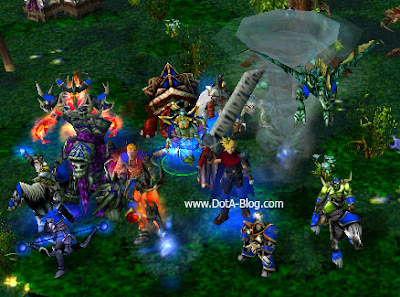 DotA 6.77 AI Fun 2.7c has just coming out fresh from the oven today! SuperWaitSum remove the Christmas theme (it's already 2 month guys! Snow should be melted right now) and fix some fatal error crash. He also porting some changes from the DotA 6.77 as well. Check out the full logs below! Note: If you want to play the normal AI map, go to DotA 6.77 AI post. is AI able to control and fully use the fun characters' skills ?